Are you hosting a large event in Doral, Fl? 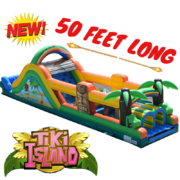 We Rent Fun has great rentals that are perfect for large events like carnivals, school and church events, and more. 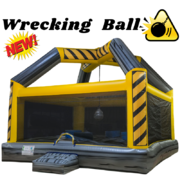 Our obstacle course rentals are perfect for keeping large groups of people entertained for hours. An obstacle course not only adds fun to your event; it brings out a competitive nature that gets people excited. Our course rental is large enough for two racers and the bright colors will attract a large crowd. 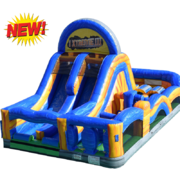 If the Florida sun is heating up, add one of our water slide rentals to cool the party down. 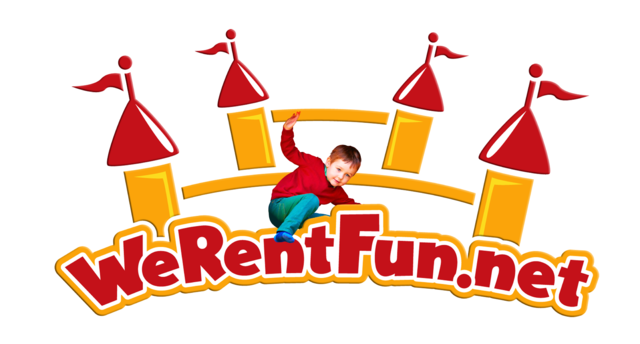 Thank you for choosing We Rent Fun for your Trackless Train rental in Doral, Fl. We are a Christian family owned and operated company that wants to go above and beyond our customers' expectations. Our professional staff understand the importance of your event and hold themselves to the high standards we set in place for our growing business. We want to be the one stop shop for all your party and event rentals. We thank all active military, police, fire and first responders with great discounts, so please mention when you are ordering. Click Here to contact us today!